Interactive whiteboards are manufactured by a variety of companies, but are all designed to work in a similar fashion. Essentially, interactive whiteboards are meant to work as extensions and large-scale representations of a computer or laptop screen. Interactive whiteboards make it possible for users to interact with the screen by using a pen, a marker, a stylus, or even a finger. They work much like a touch-sensitive computer screen. An interactive whiteboard allows users to project images from a computer screen onto the board's surface. 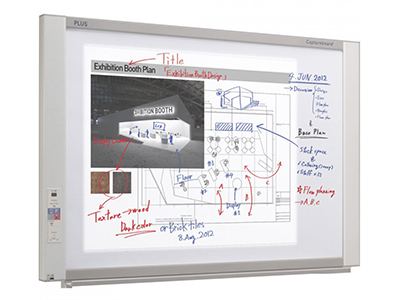 Websites, images, and software applications and programs can all be projected onto the whiteboard screen. Users can take a pen, marker, finger, or an IR device and use it in the same way they would use a mouse to control a computer. They can use the interactive tool, whatever it might be, to open and close browser windows, take notes, click on and drag objects, edit and mark-up text documents, and highlight text. There are even some programs included with some whiteboards that can take an individual's personal handwriting and translate it into typed text. 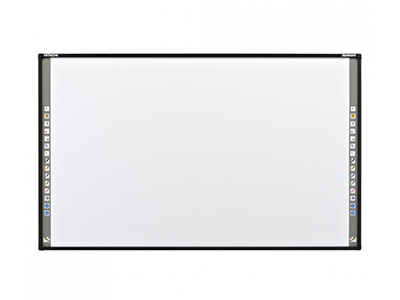 Today there are six varieties of interactive whiteboards to choose from, including resistive, electromagnetic, infrared or optical, ultra-sonic, optical, and infrared or IR whiteboards. Differences between the types of boards include variations in the material the board is made of, the type of writing tool each board makes use of, and the particular control method that the board uses to send signals from the board to the computer. 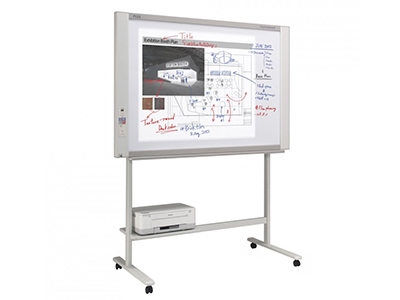 Besides using them as teaching and presentation tools, interactive whiteboards can also be used for other purposes. Since the board is directly connected to a computer, any program that it runs can be projected onto the whiteboard screen for all to see and enjoy, including DVD movies. For many schools and businesses that do not have the funds needed to purchase multiple computers and computer stations, interactive whiteboards also present a more affordable and cost-effective way of providing multiple users with access to computers and software programs.